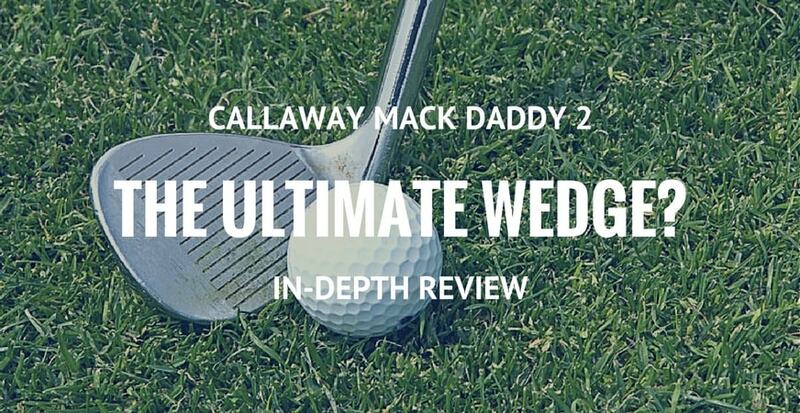 Callaway Mack Daddy 2: The Ultimate Wedge For Ambitious Golfers? Our Review: "At a tempting price point, the Callaway Mack Daddy 2 brings a lot of features and quality usually found in much more expensive wedges. This is perfect for players that do want to get serious about golf, without breaking their wallet." The only way to win tournaments is with the short game. Over half your shots out here are within 30 or 40 yards. Maybe that’s why Phil carries some of the best short game clubs in the game in his golf bag every tournament. He worked with renowned club builder Roger Cleveland to create the Mack Daddy 2 line of Callaway clubs. Carrying with it the respect and weight of the Callaway name and the ingenuity of two of the brightest minds in golf, the Mack Daddy 2 gives some of the most versatility in a bag that every golfer of every skill level can put to work on any outing. 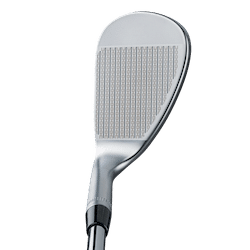 The Mack Daddy 2 wedges come from the same technology Callaway introduced on their X-Tour wedges that features the cutting-edge “Mack Daddy Grooves”. Those groves help you put as much spin on your shot as possible. These Callaway wedges come at the moment in two different loft degrees : 52 or 58. At one point in the tour, Phil Mickelson carried four different degrees of this club in his bag - when more degrees were available for purchase back then - , giving him the option of putting the spin and the loft on the ball he wanted for any possible scenario on some of the toughest courses in the world. When you’re lining up for an approach shot, these Callaway wedges give you the confidence you need to put a good shot on the ball - particularly with balls such as the Titleist V1 which we reviewed not too long ago. Thanks to its carbon steel, the Callway Mack Daddy 2 gives great feel and control. How does the Callaway Mack Daddy 2 compares to the competition? The Mack Daddy 2 line of wedges has some of the highest spinning grooves available on the market today. Several grinds are available for the 58 and 60-degree wedges. This line has a wedge for almost any golfer from beginner to pro and for any preference. It’s a great club from the sand. The custom design looks great in any golf bag. The name Mack Daddy 2 is a joy to say and truly describes this club; it is the Mack Daddy! The wedge head is significantly smaller than most other wedges on the market. The head size gives a fuller swing a little more energy than some other common wedges. 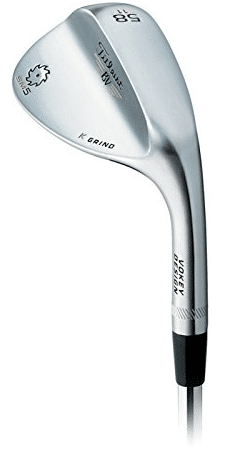 The feel and sound of these wedges are much more firm than other wedges available. Golfers with steep swings have difficulty making consistent contact. The head will sometimes dive under the ball in steeper swings. While the variations in the grinds are a pro, they unfortunately are only available at the moment on 52 and 58 degree wedges. Doesn’t have as much distance on fuller swings compared to other wedges. Callaway switched from presser to machining the grooves so they’re able to get a much more aggressive groove. This prevents the grooves from wearing out too quickly. The word “tour” can scare off many golfers that believe since they’re nowhere near the tour they shouldn’t use tour-inspired clubs. The tour-inspired shape of this club should prove them wrong. Even if it’s what the pros use, this club is easily mastered by any level of golfer. The 5V groove pattern that’s 39% larger also gives better control from the rough. The Laser Milled Micro Grooves allow for 25% more spin out of the rough. The laser milled grooves help create more spin and control. Even when those micro grooves wear off, the way the club face was produced will add surface roughness when the micro grooves are worn down, meaning you won’t lose control or spin over the life of the club. The S grind is the “standard” grind. It had the straightest leading edge of all three grind options. This is ideal for golfers who hit shots with a square face. The S grind has a little heel relief, but also the least amount of bounce at 10 degrees so it works great in firm conditions. The S grind is best for golfers with a shallow angle of attack in their swings or if they play on mostly firm courses. It’s available in all degree models. The C grind is aptly named this way because it has a shape that looks like the letter C. That helps create relief on the heel and toe sections. The C grind has a more curved leading edge. That curved edge helps the wedge sit lower to the ground and makes open face shots much easier than the S grind. With 14 degrees of bounce, this grind works great in softer conditions or from the sand traps that we all find ourselves in from time to time. It’s a great grind for golfers that take big divots or if you play a lot of courses with softer terrain. This grind is only available in the 58 degree model. The U grind is Phil Mickelson’s specialty. It’s the one he uses on the tour. The U grind has a concave sole which allows for the greatest versatility. It has the roundest leading edge of all three grind options. For those of you not yet familiar on the importance of picking the right grind, this Q&A article from Titleist should help you to make the right decision. That lets golfers get under the ball the best to hit a high, soft shot from most playing surfaces. 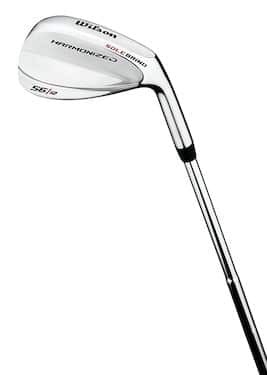 The grind has 10 degrees of bounce like the S grind, but like the C grind it can be played from an open or closed position because of the distinct and rounded sole shape. It’s a great grind option for golfers with that like to hit specialty shots with a lob wedge. It’s also a great choice for golfers with moderate or steep angles of attack in their swings. This grind can be found on the 58 degree loft wedge. These Callaway wedges come equipped with Lamkin Crossline grips and the True Temper’s Dynamic Gold S300 shaft. It comes in two different finish options, which are the chrome or slate finish. The slate option is buffed with Scotch Brite and gives a sharp look like it is right out of a custom golf shop. These unique features offer some of the greatest versatility in wedge lines available today. The grinds on the club face give some of the best control for every condition you could encounter on the course. With all the options, every golfer is certain to find a club (or two) that would make a great addition to any golf bag. Every golfer dreams of finding the perfect wedge that you can hit and convert almost any shot within 100 yards. But, even with the recent improvements on manufacturing golf clubs, that wedge simply doesn’t exist on the market today. The Mack Daddy 2 gets about as close as you can get, though. On top of looking great, this wedge performs great too. It has a softer impact and has a lot of bite out of the rough. And can be used with precision close around the green as well. With little practice, you’ll be able to hit shots from a low spinner to a high flop to a bump and run. This would come in handy when you need to hit a draw for example. The bottom edge that is grinded-down also gives golfers a great advantage on tight lies. The aggressive 10-degree sole grind gives most golfers consistent bounce whether playing on harder grass or softer turf. On fuller swings, golfers will notice a lower trajectory than most similar wedges. The extra grip on the club and the balance help send it lower, but still gives it just as much spin as other wedges on full swings. The wedge has a D3-D4 swing weight, but still has a pretty heavy feeling when taking fuller swings. That will help golfers that have trouble with executing full and smooth swings. The feeling of the weight will help smooth out most swings and make putting a good swing on the ball much easier. 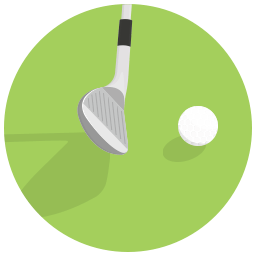 If you are unsure which golf ball to use and you are a high handicapper, feel free to check out our guide on the topic to help you take advantage of the best golf balls for your playstyle. From inside 90 to 100 yards the Callaway Mack Daddy offers a lot of versatility. Fuller swings within the distance could generate too much backspin with the aggressive grooves of the club face. The Mack Daddy 2 wedge also allows golfers the full range of specialty shots. Opening up for a flop shot is even relatively easy for most golfers due to the aggressive grooves. With some practice, ball control back spin is easily attained. That’s also thanks to the new 5V grooves and the sandblasted milling in between those grooves. Bump and run shots are also relatively easy to execute with all the new technology built into the club. These wedges also offer some great performance once we all hit the occasional and dreaded sand trap. With the 56-degree wedge especially, the back spin out of the sand is nearly unmatched. Bunker shots are something none of us want to find ourselves in, but with these clubs it’s possible to save par from most bunkers if you’ve practiced and can put a good swing on the ball. The smaller club head will also help you slash through almost any kind of rough. The larger grooves also help generate 25-percent more spin than previous Callaway clubs from the rough. The wedge performs similarly on the fairway and on the fringe green as well. The club is nothing short of stunning at first glance. Over the years, Callaway has produced wedges with smaller heads compared to others on the market. The Mack Daddy 2 follows that trend. The line is available in both chrome and slate gray finish. All clubs also come equipped with True Temper’s Dynamic Gold S300 shaft and Lamkin Crossline grips. Both finish options help reduce any potential sun glare, which at times can certainly be a problem with other clubs. The attractive wedges do have quite a bit of writing along the back side of the club head. Those writings and imagery might turn off some in the “purist” crowd of golfers, but these wedges are design to fit into the modern world. The classic and iconic “Callaway” name and chevron symbol are in prominence on the club and compare and contrast interestingly with some of the milling and the modern text near it. This is no doubt both a product of the company’s rich history and their ideas heading into the future on the cutting edge of golf. The club looks like it belongs in this decade and not in your grandpa’s golf bag. The Lampkin Crossline grips give the club a great gripping surface and will feel great in your hands. As far as the feel when you swing the club, it will feel somewhat heavier. If you have difficulties with full swings, the perceived weight of the club will certainly help smoothen your swing out. When you hit the ball, it will also feel much more solid than most wedges. That could take some getting used to, but after a few swings it shouldn’t be an issue for most golfers. The S stands for “standard” grind. It has the straightest leading edge of the options for the Mack Daddy 2. This grind has the least amount of bounce at 10 degrees. It also has little heel relief. It’s a straighter and more traditional and comes in around the middle of the C and U grind in its playability. Golfers with shallower angles of attacks or golfers who play on mostly firm courses will find this grind preferable. It’s available in all degree models. The C grind is the much more versatile than the S grind. It’s aptly named because it has a shape that resembles a C. It’s versatility is because of the heel and toe grind that allow it to be opened or closed. 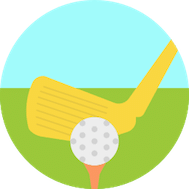 That will help golfers playing on changing conditions or golfers with a sweeping swing. The C grind has 14 degrees of bounce and is great from the sand. It’s available in the 58 degree model. The U grind is the grind most aggressive golfers will chose and is the same grind Phil Mickelson uses on the tour. It has the roundest leading edge of the three grind options. The U grind will help golfers get under the ball from nearly any surface. It’s also a good choice for golfers who have steeper angles of attack in their swings. It’s available in the 58 degree wedge. You can expect a flatter trajectory on this line of wedges than most other wedges. You’ll especially notice it on fuller shots. The wonderful balance of the club and extra grips on the club face will send the ball lower than other wedges. Even with the lower trajectory, there is still plenty of spin produced because of those grips. Callaway wedges are notorious for playing with a little extra bounce than what’s advertised and that can certainly be said for the Mack Daddy 2 wedges as well. The wedges come in two different degrees of bounce. The S and U grinds come with 10 degrees of bounce. The C grind comes with a few more degrees at 14. This helps produce a higher level of bounce than most other wedges, which could be preferable of not depending on the golfer. The playability on these wedges is second to none. It’s a very handy club that can give you a chance no matter where you are on the golf course. You can open the club up for a flop or close it down and put a good pinch on the ball. The head will cut through almost anything: sand, rough, heavy rough and heavier rough. The best way to witness this extreme playability is to go ahead and spend time on the driving range to get to know the wedge better. The durability suffers a little because the club is forged. The grooves hold up over time, but even after heavy play where the micro grooves wear down the club will add surface roughness. That means you won’t lose control or spin over the life of the club. Like any club, the Mack Daddy 2 isn’t impervious to bag wear and tear, but that won’t affect the function of the club. The Callaway Mack Daddy are great short-range clubs, but most golfers will notice their full shots will fly just a few yards shorter than what they’re used to seeing in other wedges. 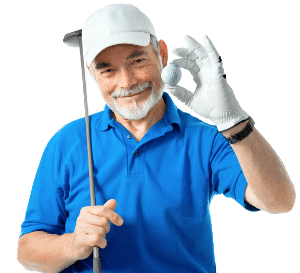 For example, a golfer who can usually go 120 yards with a 52 degree wedge, they may only see a 112 to 115 yard shot with the Mack Daddy 52 degree wedge. For a golfer that hits a 58 degree 100 yards, expect to see a Mack Daddy 2 to fly about 92 to 95 yards. Even though the distance is a few yards shorter, these Callaway wedges produce some of the most spin out there. A competent golfer can still accomplish a lower spin shot from 70 yards or farther as well. The grooves on the Mack Daddy 2 wedges are some of the highest spinning in golf right now. The 5V grooves are 39 percent bigger than Callaway’s previous line. Some of the biggest challenges for club companies have been the USGA 2010 rules that reduced the allowable sharpness of wedge grooves. According to club designer Roger Cleveland, the Mack Daddy 2 get about as close to that rule as you can and created “roughly 85 to 90 percent” of the spin handled by wedges before that rule was handed down. On top of the grooves, you’ll notice a lot of milling in between grooves on the club face. That also helps create more spin. Callaway boasts this line has 25 percent more spin from the rough than any of their previous lines because of these grooves. 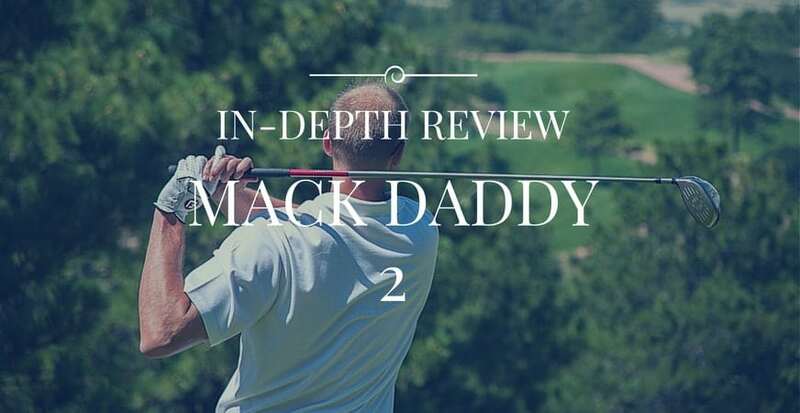 How does the Callaway Mack Daddy 2 compare to the competition? The Callaway Mack Daddy 2 certainly compares pretty well to other wedges on the market currently. For our purposes we’ll be comparing the Mack Daddy 2 to other top wedges. Titleist is one of the biggest names in golf and their Vokey wedges have been some of the most popular for both pros and amateurs. The SM5 line of Titleist wedges look similar to their line of SM4 wedges, but have some added options. There are three different options for finishes of this club including a new gold nickel, a tour chrome and raw black. All three look sharp in a golf bag. The SM5 wedges come with 6 different grind options, double the grind options in the Mack Daddy 2 wedges. These grinds are F, S, M, K, T and L. The F grind is a full, small grind. S and M are both heel and toe grinds. K is a newer grind and features a wide sole. T and L are both heel and toe grinds that are designed for lower bounce lob shots. Titleist also released new TX3 grooves in the SM5 line. Titleist boasts that they are 7 percent deeper than their previous grooves, but most golfers won’t notice a huge difference. Final word: Priced around the same point, the choice between the Mack Daddy 2 and the Titleist SM5 comes down to how much versatility you want in a wedge. With so many different options to choose from with the SM5 It can certainly be overwhelming for most golfers. Although these different options allow for a greater control on certain shots, the Mack Daddy 2 will allow you to hit more shots with one club whereas you might need two different Titleist wedges to accomplish the same result. Launched in 2015, the Cleveland 588 Rotex 2.0 is now the fourth generation of their Tour Zip grooves. These grooves are boasted to have 15 percent sharper edges than the previous line. It’s designed to put a lot of spin on the ball right at the point of impact. 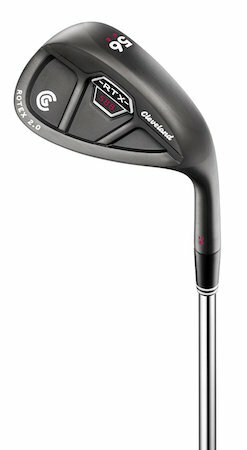 As far as spin goes, Cleveland continues to produce clubs that put some of the best spin on the ball out of any wedge on the market. This line from Cleveland gives some great versatility around the greens and in the sand. Final word: This line from Cleveland gives some great versatility around the greens and in the sand. Another reason why it’s one of the best selling wedges today. As far as shots from farther distances, the Mack Daddy 2 will help you get some more spin on farther shots than the Cleveland 588 Rotex 2.0. But up close, it’s still very difficult to beat Cleveland’s line of wedges. 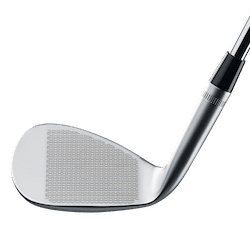 The Wilson Harmonized Golf Wedge is available in a variety of different degree lofts including: 50, 52, 56, 60, and 64 degrees. The True Temper steel iron shafts are designed with both performance and reliability in mind. Golfers can open the club face further to hit higher shots with more accuracy using the sole grind on the club. The blade is also designed with modified bounce angles for some versatility in the sand, rough or fairway. Final word: While all of these features are fine, they're not nearly as fined-tuned as the Mack Daddy 2. You won't get as much bounce off the Wilson, nor will you get near the amount of spin the Mack Daddy 2 puts on the ball. They say you get what you pay for. That really is evident with the cheaper clubs like Wilson on the market. They'll get the job done, but nowhere as effective as some of the finely-tuned wedges that are available.